Val Heart is a leading animal communication expert, internationally recognized pet psychic and master healer. Val can help you create a magical bond between you and your animal and get at the root of what is really going on in their life. Not the typical animal communicator, her specialty is solving problems with pets. She also works to improving the performance of show horses, helping them achieve their true potential. 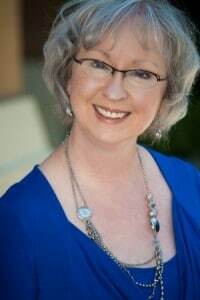 When you work with Val, you gain access to her proprietary methods and a comprehensive service. No other animal communicator, trainer, intuitive, healer, behaviorist or pet psychic offers 4 Fundamental Results – Guaranteed! Reconnection with loved ones who have transitioned. She isn’t the least expensive animal consultant or master healer — but she IS the most effective. Is working with Val a fit for you? In Val’s extensive experience, the people who get the best results from her work are those who want to become fully present, with enhanced conscious awareness, enjoy deeper understandings of themselves and all their relationships, who want to enjoy enhanced communication and heart centered connections with the animals in their lives, and who understand that this is a critical part of staying balanced, healthy and living a good life. These people are also: 1) Willing to work through challenges and accept change 2) Open minded and willing to consider new concepts, try new things 3) Understand that healing is a journey and a process, requiring self care and commitment to self growth 4) Willing to invest time, energy and money in their own health, balance and sanity, and on behalf of their animals 5) Committed to working through their issues on all levels. Those who meet her requirements will most rapidly achieve optimum results — for themselves (and their animals). Val’s work is all about resolving your animal problems resulting in your experiencing greater peace of mind, joy and harmony with your animal friends. Whether you are struggling with training, behavior or performance issues, concerned over chronic health problems, are worried about an impending euthanasia decision, or just want to improve your relationship with your animal companions, she can help. It’s Easy to Schedule Your Consultation – Easy as 1-2-3! 1) Your first step is to Choose the Consulting Program Plan that works best for you based on your needs and the results you want to have happen from your session. Scroll down to choose your Plan. Scroll down and choose what works best for you. 2) Once you’ve chosen and paid for your session(s), then you will have access to Val’s personal schedule. When we’ve processed your payment, you’ll receive an email with a link to our on-line appointment scheduler. You then choose a time that works best for you from the times available on Val’s schedule. –> Prior to your session, fill out Val’s BodyMind Assessment Questionnaires(one for you, and one for each of your animas). Then fax, mail or email them back when you’re done so Val has them at least 24 hours prior to your session. Instructions are on the Form. –> Send Val a picture of your animals – email (jpg format is best, between 50 kb and 2 MB) or snail mail is fine. They don’t need to be glamour shots, just pictures you like of them. She would like to see their face/head at a minimum, and their body if possible. You can schedule your sessions whenever you need them from the available times on Val’s schedule. If you choose a payment plan, there will be 30 days between payments. Are experiencing challenges with your animal or your life? Want time for healing work for both your animals as well as yourself? Want insight into the top 2-3 challenges you are facing? Want assistance exploring solutions to problems with progress reports, action plans and caretaking maintenance support? Want more insight and opportunity to fully resolve the primary issues they’re struggling with? Want a specific management plan and time to explore training solutions? Schedule your appointments whenever it’s convenient for you from the available times on Val’s schedule. NOT for people with many animals experiencing many problems or with significant management issues. Is already working with Val and needs a follow-up laser consult for maintenance work. Invest in the Laser Spot Check Half Hour Session for $275. Thinking of hiring a professional Animal Communicator? 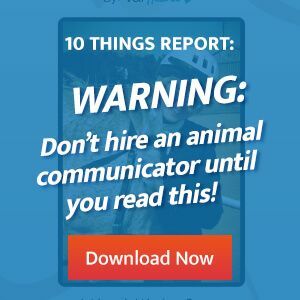 Enter your name and email below to get my free report and find out the 10 things you should know before you hire an Animal Communicator!